Losing a loved one is never easy. Planning a funeral can be even harder. Somehow you have to put aside your grief and plan a beautiful ceremony to honor and celebrate the life of your loved one. It’s not easy, but it is necessary. And there are so many things to consider, from meeting with funeral directors throughout Baltimore to funeral printing and, of course, covering the costs. 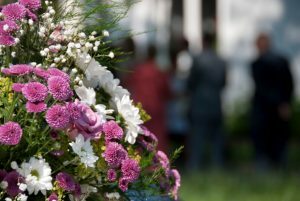 While a somber occasion, a funeral is an opportunity for family and friends to come together to remember and celebrate the deceased, while offering support and comfort to one another. Planning a funeral is a complicated process. Taking the following steps can help you through this trying time. Some people are very good at planning ahead, especially when they know the end is near. Some people will actually write down their wishes, while others will simply tell friends and family. Either way, it is important to try and honor these wishes as best you can. Contact several funeral directors throughout the Baltimore area to compare options and, perhaps most importantly, to compare prices. But know what you want before you call. Before you call different funeral homes to compare prices, it is important to know what you want. Will the deceased be buried or cremated? Will there be any special ceremonies? Some Fraternal Orders and the Military may provide special ceremonies for the funeral service. Will this be a large memorial service, or a more intimate affair with family and a few close friends? You don’t need to iron out all the details, but you should have a general idea of what you want. 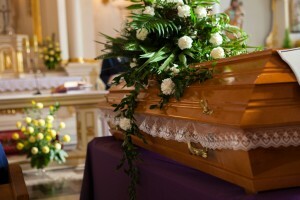 Then, once you choose a funeral home, the funeral director will help you finalize your plans. Funerals and memorial services are all about remembering the deceased. The best way to do this is to tailor the funeral to the deceased. This includes the printed materials: programs, prayer cards, memorial posters, bookmarks, acknowledgement cards, and more. Time Printers is a full service printing products and services business located in Baltimore, Maryland. We are also a family owned and operated business. We understand that losing a loved one and planning a funeral is very emotionally draining experience. Let one of our sales professionals walk you through the entire process and help you put together a package that will honor and celebrate the life of your loved one. Programs: We offer a wide variety of samples or we can help you custom design your own. 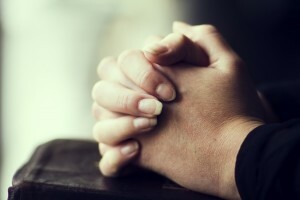 Prayer Cards: We offer only the highest quality printing options including a variety of paper stocks, sizing options, and templates or custom designs. 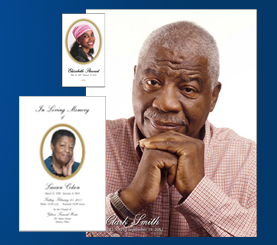 Bookmarks: We can coordinate with your programs or prayer cards to create a consistent theme that helps set the mood and celebrate the life lived. Acknowledgement Cards: We deliver affordable, elegant cards that will make it easy to express your gratitude. Memorial Posters: We offer a wide range of printing options including standard and wide-format, a variety of high quality paper stocks, and specialty finishing options. Planning a personalized funeral service will help you begin the healing process. To learn more about Funeral Printing Services in Baltimore, please give us a call at 410.566.3005 or click here. You can also connect with Time Printers on Facebook, Twitter, Google+ and Pinterest as well.